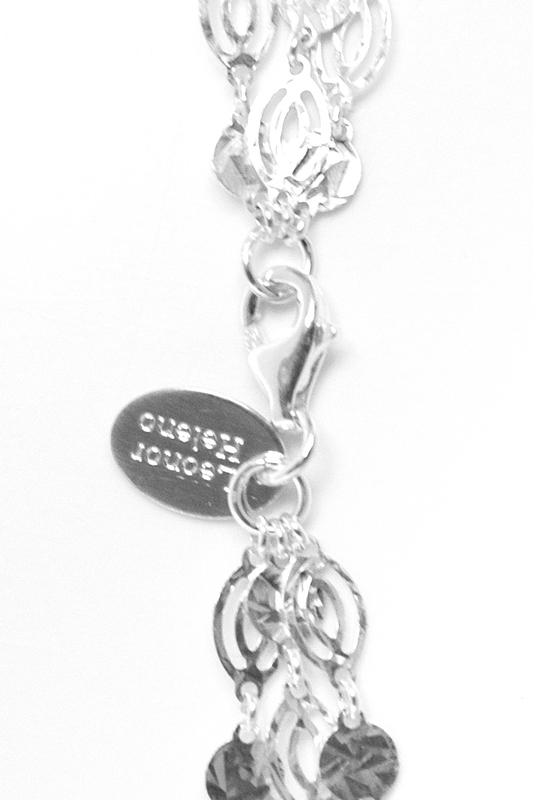 Beautiful Sterling Silver Chain, with a shiny diamond design. 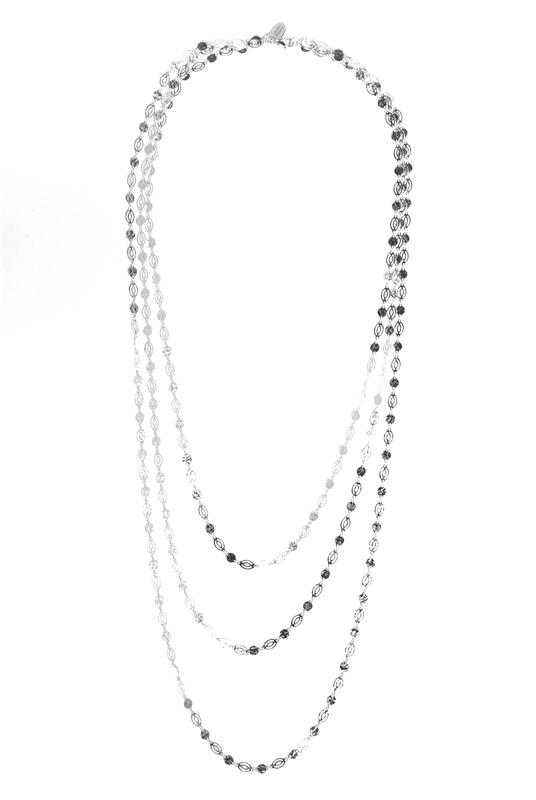 This beauty sparkles like no other, and will guarantee you a sophisticated look wherever you decide to wear it! 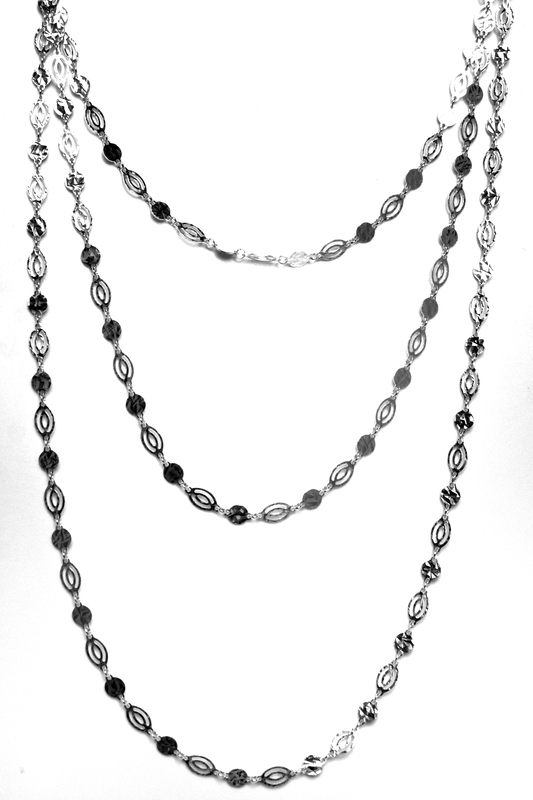 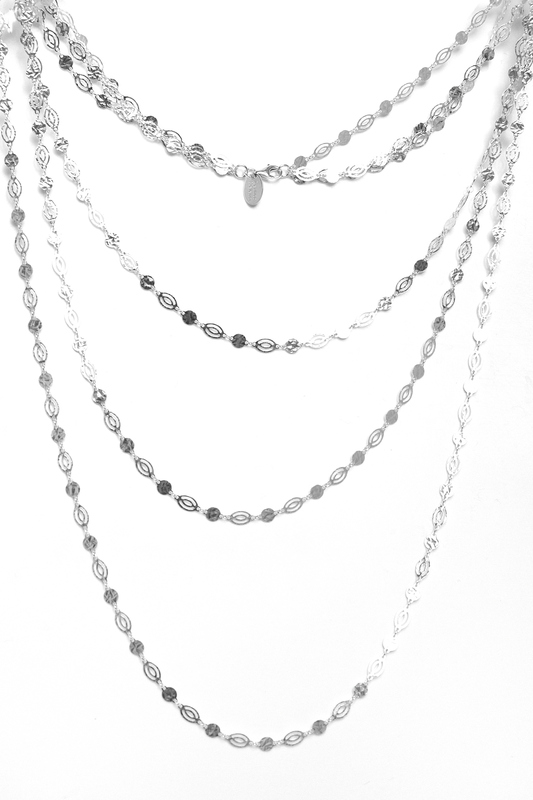 This necklace is made of 3 chains of 83, 71 and 62 cm approx. 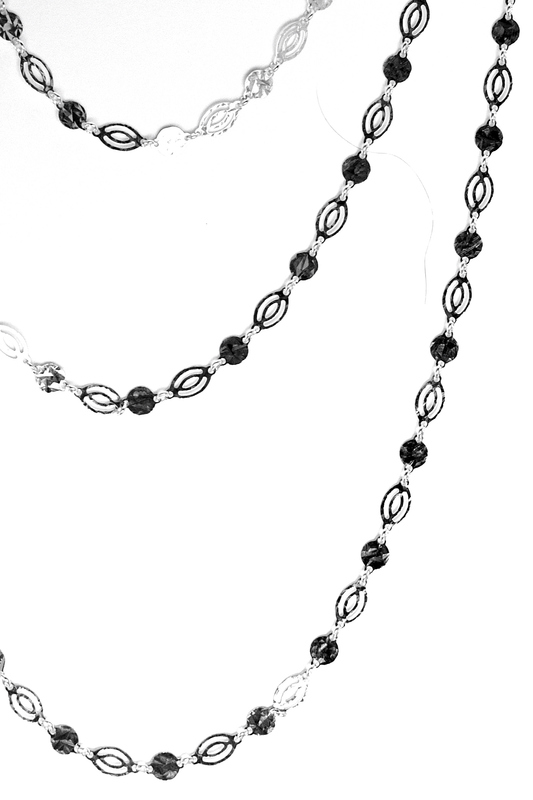 with one sterling silver clasp of 9 mm. 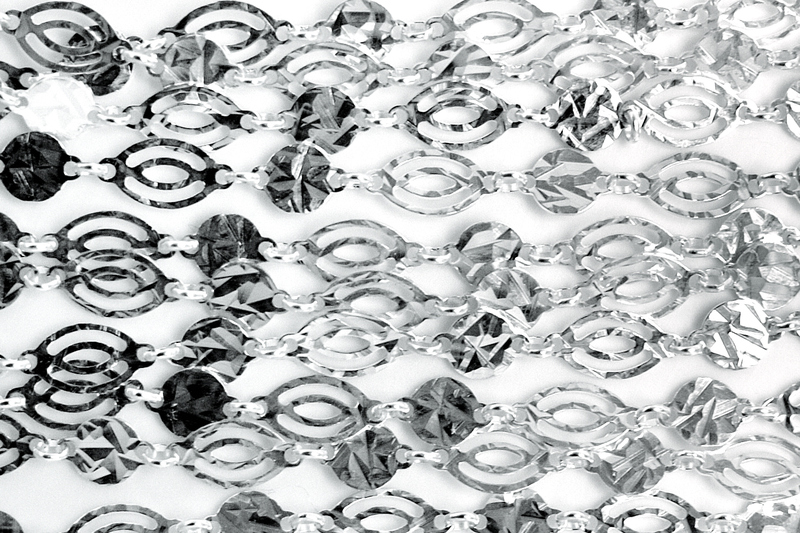 You can also order one chain at the time.